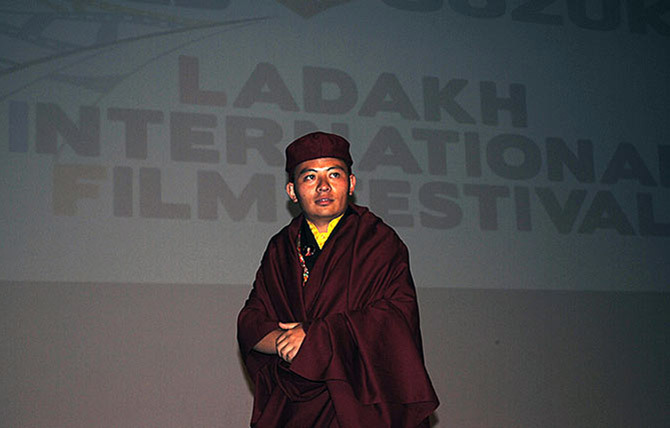 Bringing you all the action from the third edition of the ongoing Ladakh Film Festival. 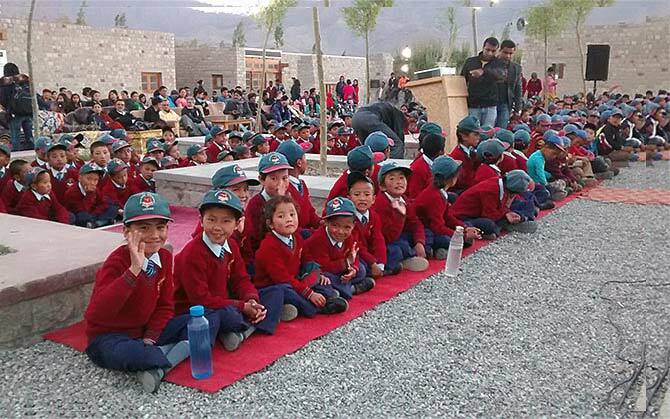 The first day of Ladakh Film Festival ended with a gala event at Druk Padma Karpo Education Society, (Druk White Lotus School) in Shey, the ancient capital of Ladakh where portion of Rajkumar Hirani's 3 Idiots was shot. The event started with a speech by his holiness, Kyabje Thuksey Rinpochey (chairman of Druk Padma Karpo School). It was fascinating to know that his holiness had left his home at the age of two after being recognised as the reincarnation of first Thuksey Rinpoche (Drukchen Dungse Rinpoche) by His Holiness the 14th Dalai Lama. When he returned to Ladakh after several years of training, he had forgotten his language. "I never asked anyone to teach me the language, I just started buying Ladakhi film DVDs to watch films and that's how I learnt about my people," he said. The festival was kicked off late in the evening of June 27 with a local dance by school children and a short skit on the Kargil attack. The kids, keenly looking forward to the premiere of Transformers 4 in their school, were disappointed when the screening was canceled due to a technical snag. Instead of Transformers, Rakeysh Omprakash Mehra's documentary Bollywood: The Greatest Love Story Ever Told was screened. The documentary featured clips of film songs and scenes from various films and interviews of Amitabh Bachchan, Aishwarya Rai Bachchan, late Shammi Kapoor, Shekhar Kapur, Madhuri Dxit, Javed Akhtar and Prasoon Joshi talking about how films have changed over the years. Talking about the festival, Mehra said, "I came here for the first time last year when my film Bhaag Milkha Bhaag was premiered. Even though this festival is organised on a small scale, it has a big heart." The award-winning filmmaker also informs that he was encouraged by Gulzar and Vishal Bhardwaj to be the festival's patron. 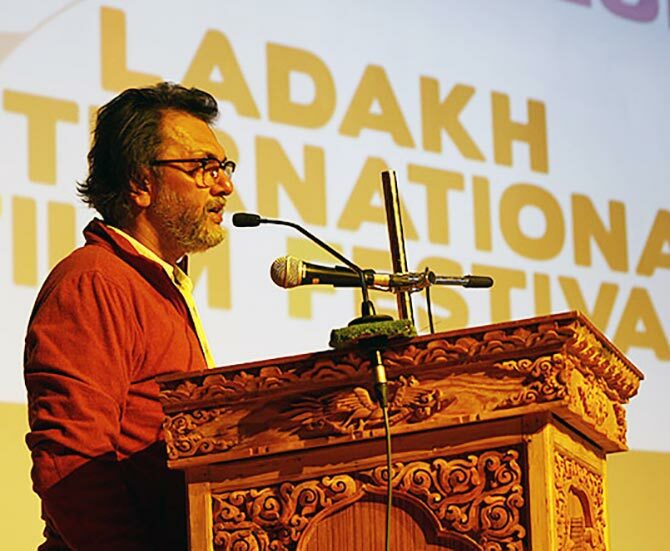 "There are plans to make Ladakh the hub of film festivity in coming years, we are thinking of building a small village here to bring in the local talents of Ladakh and Jammu and Kashmir," he shared. When R D Burman inspired movie titles!